Casa Naranja for sale in Marina Chacala - 45 minutes north of Sayulita! 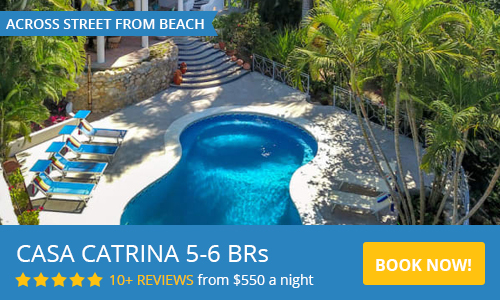 Casa Naranja is located in the exclusive gated community of Marina Chacala, about 45 minutes north of Sayulita. Casa Naranja is one of the La Reserva homes, located just five minutes walking distance from the beautiful, white sand beach of Playa Chacalilla. This hilltop home has fantastic views of the ocean, jungle and mountains. Upon entering Casa Naranja, your view is through the main living level, over the large pool deck with infinity edge pool, and all of the way to the ocean. Casa Naranja has four large air conditioned bedrooms, four baths, and a spacious living area that opens onto a covered patio dining area. The kitchen is large and well equipped. There is also a media room that can serve as an additional bedroom, and a large storage room for all of your beach toys.